Learn how to make pesto for use as a sauce or dip. This Italian condiment adds a burst of fresh flavor to any dish! I’ve laid out some helpful tips to elevate the taste of a traditional pesto sauce. A blender or food processor can be used for this easy recipe. Learning how to make pesto from scratch opens up a myriad of recipe ideas to liven up meal time. 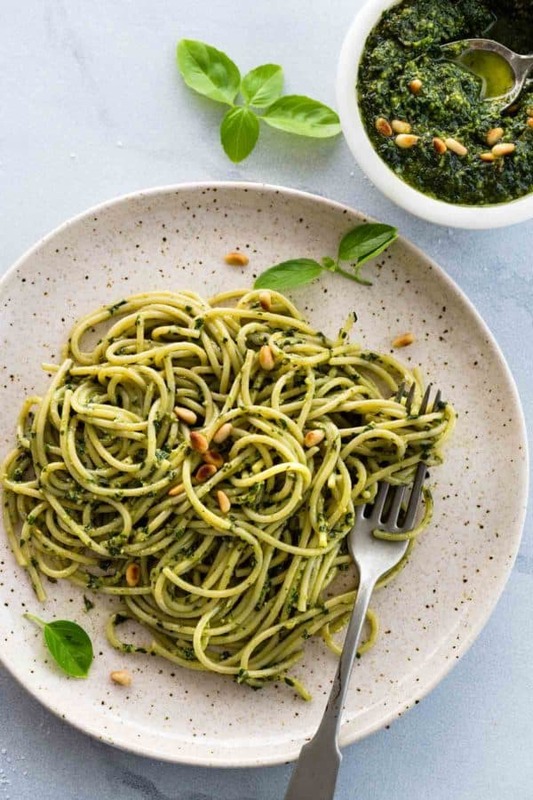 Pesto is an essential condiment traditionally made from fresh herbs like basil, ripened Pecorino Romano cheese, pine nuts, and a good quality olive oil. The best part is the recipe can be customized with variations of the base ingredients. However, it’s best to know how to properly make the famous Italian sauce first before getting too creative. Pesto can be the star of the dish when made just right. It may seem easy, just dump, mix, and voila! Although to elevate the flavors, there are some essential tricks to incorporate to create a balanced and full-bodied pesto. These tips will take your green sauce to the next level! It starts with selecting ingredients and even more importantly the amounts to make a pesto sauce with the right flavor and consistency. Herbs: Fresh basil leaves are the primary herb of choice for its robust, aromatic notes and anise flavor. It’s the base flavor of most pestos. However other greens like spinach, arugula, kale, and parsley have become popular choices. If not using 100% basil, I like to make sure at least 50% of the mix is basil and substitute the remainder with the other greens. Garlic: Adding pungency to the mix, it brightens the flavor and adds dimension. However, the sharp bite from the sulfurous compounds may be too intense at times. Toasting the whole garlic cloves in the pan can help tame the harshness and the dreaded garlic breath. Use 1 to 2 garlic cloves if keeping raw, 3 if toasting. Nuts: Pine nuts are the traditional and most expensive choice. Other nut options are walnuts, pecans, and almonds. Sunflower seeds are an excellent nut-free option. The nuts add a little creaminess and interesting texture to the pesto. Cheese: Pecorino Romano which is a raw sheep’s milk cheese adds a pungent and savory flavor, while Parmesan cheese from cow’s milk adds a more smooth and nutty flavor. Oil: Extra-virgin olive oil adds richness and slightly bitter flavor. More mild oils like a lighter olive oil, grape seed oil, or avocado oil are also good choices. Here are some key tips for making a stellar pesto sauce recipe. You can implement them all or just a few and see how the flavors change. It’s a neat experiment! Bruising Herbs: Classic pestos are made in a large mortar and pestle, although, lately that technique has been abandoned for quicker tools like a food processor or blender. The taste is still acceptable and cuts down on time so feel free to skip if you absolutely must. The reason to purposely bruise the herbs instead of just chopping them is the pounding releases the full flavorful potential of basil leaves, which you can immediately smell. Remember, 70% of what is taste is based on what you smell! To do this add the basil leaves and any other herbs to a large resealable plastic bag and use a rolling pin to pound and bruise before adding to the processor. Blanching Basil: A great debate is whether basil should be blanched and shocked in cold water before processing. The reason to do this is that the second that basil is cut, the leaves release an enzyme that turns the pesto dark within minutes. To keep the bright green, inactivating the enzymes with heat in hot water for 20 seconds and then plunging in ice water to stop the cooking process helps with preventing darkening. The taste may be similar to fresh herbs, but I’ve found that you lose some of those wonderful fresh aromatics. If you’re going to consume the pesto right away and you’re not worried about appearance, then you can skip this step. One thing to remedy this situation is adding a few tablespoons of Italian Parsley to the pesto, which stays nice a bright green. Toasting garlic has been the ultimate game changer! Spending less than 10 minutes to toast whole cloves in their peel until brown spots appear on the surface does two things; tames the pungency and bitterness, while bringing out the sweetness. It tastes like roasted garlic, making the pesto less aggressive, it’s amazing. Since you already have the pan out, toast the nuts too! The oils in the nuts start to warm, with the aromas becoming more fragrant and strong, which transfers right to the sauce. Add into the food processor or blender the herbs/green, toasted garlic and nuts, and salt. Process just for a few seconds to initially break down the leaves into smaller pieces. Scrape down the sides of the bowl or cup as needed. With the unit running slowly, drizzle in the olive oil until a paste is formed. Add the cheese and process for a few seconds until just combined. The pesto should be evenly mixed but not smooth. There should still be small chunks of garlic, nuts, and leaves to give texture to the sauce. Make sure to taste and season with more salt and pepper! Once you’ve made pesto sauce, add it to pasta, on top of eggs, chicken, fish, or serve on the side as a dip. You can even freeze the pesto in ice cube trays, defrost and use anytime! Fresh basil leaves are delicate and quite a treat to have on hand. To properly store them and extend the shelf life, do not rinse first! Simply wrap the leaves in a damp paper towel, place them in a plastic bag and do not seal. The damp towel keeps them fresh without too much condensation which could cause darkening of the leaves. This should keep them fresh for 3 to 7 days. Learn how to make pesto for use as a sauce or dip. This Italian condiment adds a burst of fresh flavor to any dish! Place the basil and parsley in a resealable plastic bag. Use a rolling pin or meat cleaver to lightly bruise the herbs and greens. Transfer to a food processor or blender. Heat a medium-sized skillet over medium heat. Toast garlic until the outsides are lightly browned, shaking pan occasionally, about 8 minutes. Peel garlic and add to food processor. Place pine nuts in the same pan and toast over medium heat, shaking the pan occasionally, 3 to 4 minutes. Transfer to food processor. Add 1/2 teaspoon salt to the food processor. Process pesto by pulsing five times to help break down the basil and garlic. Turn food processor on low speed, as its running slowly drizzle in 1/2 cup olive oil until a smooth pesto with some smaller pieces is formed, about 10 seconds from start to finish. Add the Pecorino Romano cheese to the pesto and process on low speed for 5 seconds. Taste and season with salt and pepper as desired. Transfer pesto to a small bowl. Pesto can be stored in an airtight container, using plastic wrap to cover the surface with no air space and stored in the refrigerator for up to 5 days. Recipe adapted from Cook's Illustrated, The Science of Good Cooking. Parmesan cheese can be substituted for Pecorino Romano cheese. If using basil pesto recipe for pasta, mix in 3 to 4 tablespoons of the hot pasta water to thin out the sauce. 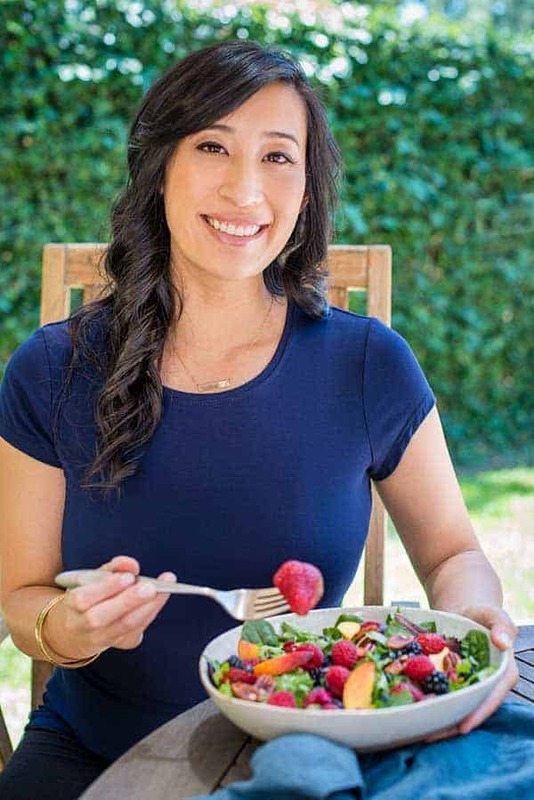 MAKE IT VEGAN OR DAIRY-FREE: Remove the cheese or use vegan cheese. MAKE IT WHOLE30 OR PALEO: Remove the cheese and use sea salt. Hi Jessica, please note that your first instruction mentions spinach whereas your ingredient list mentions parsley. Just FYI :O) Will be trying this recipe soon and thanks for all your efforts with the posts. You have taught me some great new recipes! Thank you for catching that error Simone! I’ve updated the recipe to reflect parsley instead of spinach. Much appreciated! When storing the pesto, do you put it in the refrigerator or in a cool place? I grew up eating pesto, but could never make it to taste that good. Your trick about bruising the leaves makes sense. Can’t wait to make it! Thank you!! The bruising went great! Made a big difference. I meant the basil: how do you store it if you can’t process it right away? Hi Sue! To store basil leaves I would do the following: Do not rinse first! Simply wrap the leaves in a damp paper towel, place them in a plastic bag and do not seal. The damp towel keeps them fresh without too much condensation which could cause darkening of the leaves. This should keep them fresh for 3 to 7 days. I am going to try this recipe as a part of Sunday dinner. 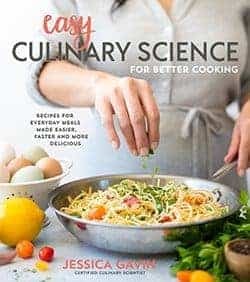 Wonderful recipe Jessica. Going to try it with almonds as I do not have pine nuts at home. I may skip cheese in the sauce and add to the pasta directly? Is that OK? Would it affect too much? I have mozzarella and some pasta cheese at home which is not the ingredient you mentioned hence worried to add to the sauce. Thank you for sharing a clear and well explained receipe.